With a sleek new design the Toyota Avalon has found its place between the hugely popular Toyota Camry and Toyota's luxury Lexus brand of cars. With a back-up camera now standard on all models, the Toyota Avalon has elevated its position in the highly competitive premium mid-size segment. Blending emotional design, more engaging performance, new technology and an elevated level of craftsmanship, the Avalon becomes Toyota�s breakout sedan. 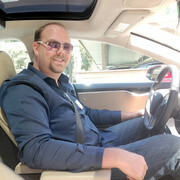 The Avalon has struggled to find its place between the wildly successful Camry and Toyota�s luxury Lexus brand of cars. Despite being far more opulent, the Avalon sat in the Camry�s shadow for years. But that all changed when Toyota completely redesigned the sedan from the frame up for 2013. Toyota knows that its Camry owners will eventually want to �trade up,� but the jump to Lexus can be a big one. The Avalon fills that void fully, offering Toyota lovers most of the amenities available in a Lexus, but with a much more palatable price tag. With a base price of $31,785, the 3.5-liter V-6 is the most economical. A hybrid Avalon, which starts at $36,350, is also available. Fully equipped the car can reach into the low- to mid-$40,000 range. The Limited model test car, with a 3.5-liter, 268 horsepower V6, had a sticker price of $42,635, including destination charge. Gas mileage is impressive in the sporty sedan. Government estimates put fuel efficiency at 21-mpg city and 31 mpg on the highway. The hybrid version bests 40 mpg on average. When Toyota redesigned the car, it paid close attention to the interior � mainly the beautifully animated instrument panel. There are no large, clunky buttons, but instead a lovely 6.1-inch screen surrounded by touch-sensitive �hot spots� used to control the radio, navigation, Bluetooth and air conditioning. My only qualm about the touch-screen display is its brightness. At night, even with the brightness turned all the way down, the screen can be distracting. But otherwise, the touch spots are sleek, easy to use and surprisingly responsive. The Avalon has taken on more of a sporty feel from its earlier, boxier predecessors. The suspension has changed from a Cadillac-style floaty-ness to a firmer, road-hugging feel. The sedan even offers a �sport� drive setting in addition to its �normal� and �eco� settings. Dynamic laser cruise control: A cruise control function that adapts to the speed of the car in front of you so you�re not always fiddling with the speed. It will also apply the brakes if it senses you�re getting too close. Seat warmers: The Avalon offers both front and back seat warmers and coolers � for those hot summer days. Blind spot sensors: A flashing light in the side-view mirror alerts you when a car is in your blind spot. This feature came in handy on more than one occasion. And when it comes to safety, a main staple for Toyota, the company didn�t scrimp on the Avalon. Optional stability control and brake assist features are included to improve safety along with airbags galore that are designed to protect every inch of your body no matter what type of accident you�re involved in. Wireless cell phone charging: Toyota has equipped the Avalon with Qi � pronounced CHEE � wireless cell phone charging technology. Simple place your Qi-enabled mobile device on the hot spot, which is placed conveniently in the dash, and it begins to charge. The 2015 Avalon is available with four different trim packages. Standard features of the XLE include 17-inch wheels, leather upholstery, power seats, keyless ignition and entry, Bluetooth and an eight-speaker audio system. The XLE Premium is pretty similar, but the Touring gains 18-inch wheels, upgraded leather upholstery, heated rear seats, a navigation system and a smart phone app integration system. The Limited�s features include xenon headlights, ventilated front seats and an 11-speaker JBL premium sound system. Last month I took the Amtrak Coast Starlight train from Santa Barbara to San Jose where I transferred to a CalTrain for Palo Alto to meet my daughter, who was visiting from Canada to attend a conference at the Sheraton Hotel. Early the next day we took a forty-five minute CalTrain to San Francisco to enjoy our own unique walking tour of 'the city by the bay' and savored some memorable sights and sensational cuisine in this award-winning tourism location. The ride from Santa Barbara to San Jose on the Amtrak was comfortable, and the views amazing. I ventured into the dining car for lunch, and was pleasantly surprised by the attentive service and nice presentation of a variety of lunch items including a good meatball plate that featured potatoes, green beans and a roll with butter. The lunch and dinner menu both offer several entree items, including a vegetarian dish, along with salads, burgers and desserts. If you are traveling alone you may be seated with other dining guests, however, I was seated with three very nice people and enjoyed travel conversation with them over lunch. Conductors take reservations for meals in advance, and an announcement is made to alert travelers that meals are being served in the dining car. The observation car on this train is a lovely place to relax read a book, do work, have a wine or coffee and watch the beautiful world go by before or after dinner. At one point on this ride you can actually see the train traveling before you as it winds around the countryside. It is a pleasant change from driving because you have time to see the beautiful scenic details of your California route. Keep in mind that Amtrak travel is experiencing a renewed popularity, and because it is a pleasant way to travel, especially for seniors and families, advance reservations are strongly recommended, especially during holiday periods. 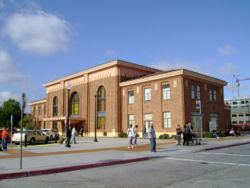 The San Jose Amtrak Station (Diridon Station) on Cahill Street, which is on the National Register of Historic Places for its Italian Renaissance Style and historic significance, is a where travelers can transfer to the CalTrain to continue their journey. Display cases in the historic station are filled with photos and memorabilia telling the story of this great train destination since its opening in 1935, and it is obvious the city locals are proud of their railroad history. A kiosk in the station offers coffee and snacks to travelers connecting to the CalTrain in the transportation hub that goes to San Francisco and has several stops along the way. The San Jose Station offers travel friendly access from the same platform while continuing on your journey. The CalTrain is excellent and transports thousands of commuters, including workers, students and tourists annually. Seniors can travel on this train at a discounted rate, and each station has easy to use machines for purchasing tickets with cash or credit cards. The back cars are best for people with bikes or carrying luggage. We traveled on this train from Palo Alto to San Francisco and back. The station in San Francisco drops travelers a block from the delightful ocean front walk that leads to the SF Pier and so many great city attractions. If you are not into walking you will find taxi's waiting at the station exit, as well as local buses to take you to your destination. The Port of San Francisco Pier, established in 1915, is filled with food and gift vendors, as well as the wonderful Hog Island Oyster Co. restaurant where patrons delight in oysters served in a variety of ways with great cocktails and brews. The combo oyster plate is so good! The patio seating offers views of the Ferry boats taking tourists to fun destinations like Alcatraz, and the inside dining area offers views of the chefs at work. Be prepared to stand in line (not for long) because the place is always packed, and take no reservations. 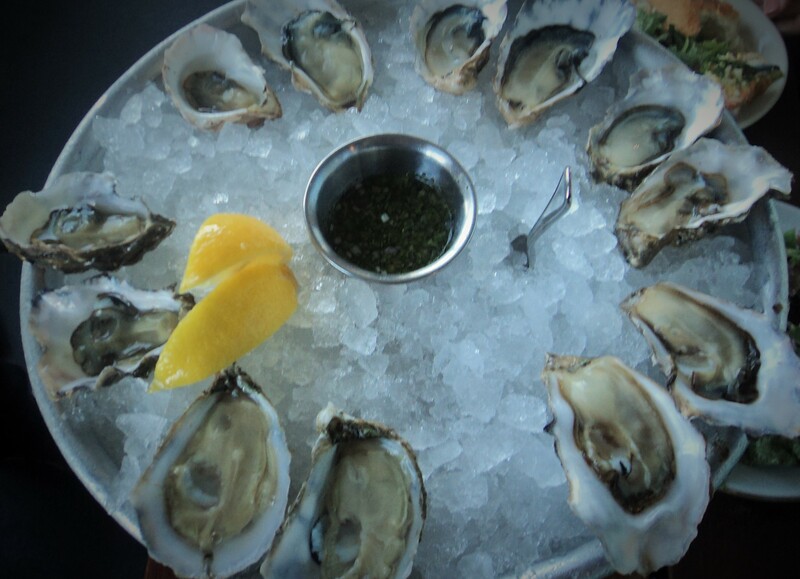 Visit www.hogislandoysters.com. We then walked a few blocks to the Asian Art Museum, which has one of the most outstanding collections of Asian art in the U.S. The motto at this museum is �come for the art and stay for the tea� so don't forget to stop at the Cafe Asia and enjoy one of the exceptional tea choices on their menu. For museum hours and exhibits visit www.asianart.org..
A short taxi or bus ride will take you to Chinatown, where you will encounter blocks of gift shops offering an endless variety of jewelry and gift items to take home. 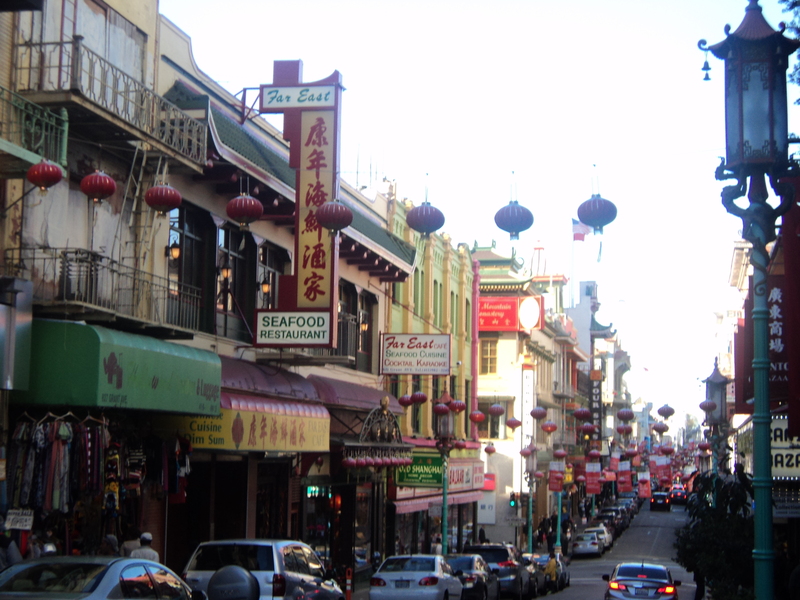 Historic churches and charming architecture provide a milieu of photo opportunities for amateur or professional photographers, and countless family owned restaurants provide visitors so many varieties of Asian prepared dishes to savor in Chinatown. 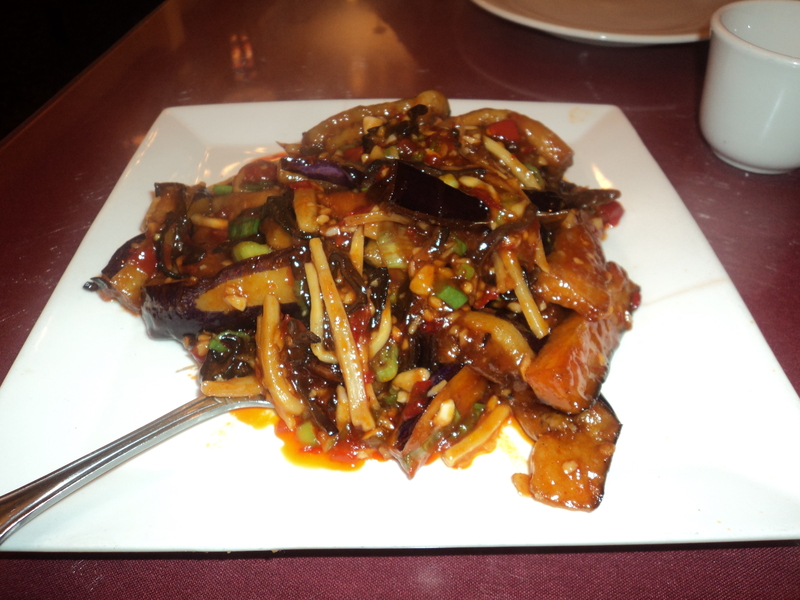 We selected Z & Y Family resturant on Jackson Street and thoroughly enjoyed the �hot� Szechuan style eggplant with peppers. Visit: www.zandyrestaurant.com. After dinner we made our way back to the CalTrain for the return to the Sheraton Palo Alto (the train stop is one-half block from the hotel) feeling happy that our day trip adventure in San Francisco had been a complete cornucopia of wonderful sights, sounds and tastings of the unique menus and attractions that make this award winning destination so unique. For trip planning visit www.amtrak.com and www.Sfgov.org/visitors. Scaffolding & a lift will place the antique car at its new home on the second floor mezzanine of the lobby in one of Chicago�s few remaining Art Deco buildings. Hampton Inn Chicago Michigan Avenue, located in the Chicago Motor Club building at 68 E. Wacker Place, further enhances its historic footprint as it carefully installs an original 1928 Ford Model A on the second floor of the 33-foot high lobby. The car arrival is a key milestone in preparation for the hotel�s Grand Opening in May. Representatives for the hotel�s ownership, Integrated Motor Club LLC, an affiliate of Murphy Asset Management (MAM), and the Chicago Art Deco Society will be in attendance for remarks on the exquisite renovation. In addition to the 1928 Ford Model A, the lobby will showcase the original 29-foot mural of popular road destinations, painted by John Warner Norton, which was carefully preserved throughout the renovation to pay homage to the building�s rich historical significance and contribution to U.S. car culture. The installation event will also kick off the official social media naming contest for the car. Enthusiasts are encouraged to submit their name entry through the hotel�s Facebook (www.facebook.com/ChicagoHampton) or Twitter (www.twitter.com/ChicagoHampton) accounts using the hashtag #1928HamptonInnspiration. The winner will receive 200,000 Hilton HHonors� Points and a custom engraved plaque with their name to be placed near the car. Pack your bags, start the engine and you�re off: ahead of you, just the open road and the Alps. Glide past sparkling mountain lakes, high above the valley floor; in the distance, catch a glimpse of one of Switzerland�s charming cities. You�re free: stop wherever you wish, for however long you want. On the Grand Tour of Switzerland, the journey is the goal. You�ll drive through four language regions, over five alpine passes, to eleven UNESCO World Heritage Sites and two Biosphere Reserves and along 22 lakes. The tour showcases the best of Switzerland with countless scenic highlights and cultural gems. Probably nowhere else will you find such variety in such a compact area. Ready to explore? Begin an unforgettable journey of discovery now with our short film. 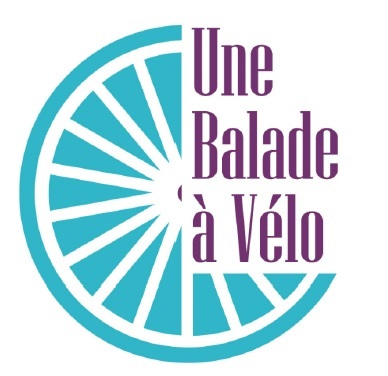 And of course Une Balade � V�lo has a 24 hours hotline if you need information or help. Don�t forget personalised tours are available on www.unebaladeavelo.com. We are happy to help you plan your French adventure. 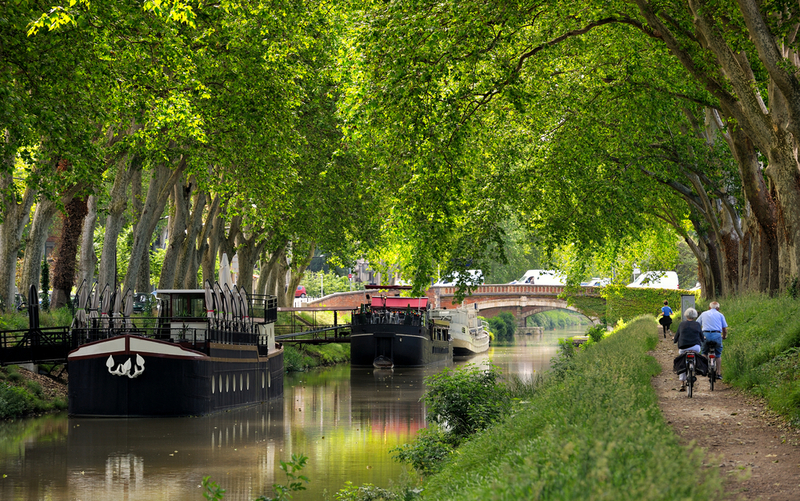 Une Balade � V�lo was created in 2013 by 2 young frenchies, Elise and Guillaume to help you discover France the slow way. They both love cycling through beautiful countryside and want others to enjoy their passion.